339 lb-ft. Torque 273 lb-ft.
Small SUVs can satisfy a number of needs, from utilitarian to sophisticated. Two satisfying models are the 2018 Porsche Macan and the 2018 Audi Q5. Both will get you to your destination in style and luxury, but if you need your vehicle to be fun to drive with plenty of sporty performance, you’ll surely prefer the Macan, with the power and handling that made Porsche famous. The Porsche Macan is available with four different turbocharged engines. The base unit is a 2.0-liter I-4 with 252 horsepower. You can move up to a pair of 3.0-liter twin-turbo V6s with 340 to 360 horsepower, or a 400-horsepower 3.6-liter twin-turbo V6 that will rocket you from zero to 60 mph in 4.4 seconds. With the Q5, you’re stuck with just one engine, a 2.0-liter turbo-4 with 252 horsepower. If you want power and performance, Porsche Macan has the right engine for you. Every Porsche features sporty handling, and Macan is no exception. It is a full-time AWD vehicle with optimized, road-hugging traction on both dry and wet surfaces. If you want to travel off-road, you can hit a button that varies throttle response and torque distribution to suit your adventures. The 7-speed PDK automatic transmission found on the Macan is engineered to effectively manage the vehicle’s high horsepower output. The Audi Q5 is design more for comfort than sportiness. While the base Macan is already a top performer, you can dial in exclusive performance upgrades that will send you to the next level. These include Porsche Torque Vectoring, air suspension, carbon-ceramic brakes, dash-mounted stopwatch, launch control and Sport Plus driving mode, which changes throttle response, modifies the rev limiter, tightens the steering and creates harder damping. We invite you to visit our Porsche showroom and inspect the 2018 Macan. Once you take it out for a test spin, you’ll never be satisfied by the competition. 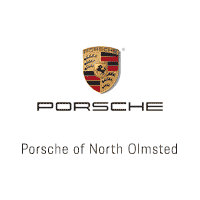 We always deliver the exceptional service you expect from Porsche, so stop in today.